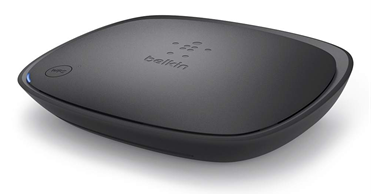 The Belkin N150 Wireless Router is ideal for surfing the web, emailing and instant messaging. Featuring Belkin's Simple Start browser-based setup, installation is easy and uncomplicated − just use a smartphone, tablet or computer to set up your router. Delivering speeds of up to 150Mbps*or up to 2X faster than G† technology, you can connect from virtually anywhere in your home. Fully compatible with G technology the Belkin N150 is perfect for a full schedule of online activities. Twice the speed and other physical data rates are achievable only when used in combination with an N150 Wireless USB Adapter. Achieve speeds up to 150 Mbps† for fast and secure connections.